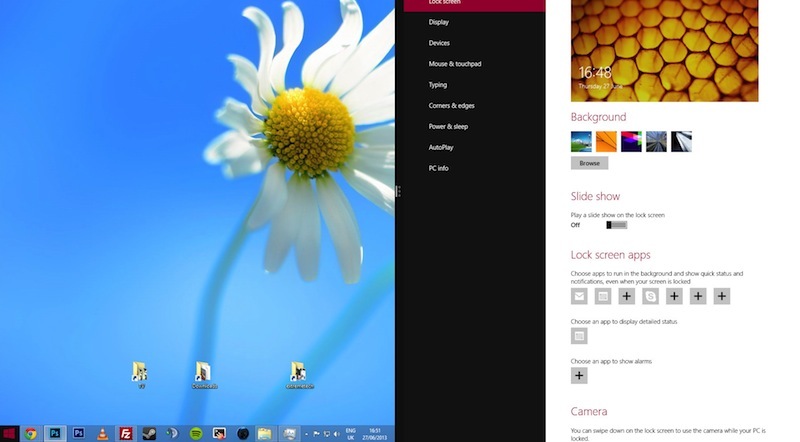 The newly restyled and redesigned operating system of Microsoft is back – Windows 8.1. With it’s launch, Microsoft is thinking of regaining its dying glow and wants to catch the attention of its fanbase. Thursday early morning, Microsoft released their Windows 8.1 update in their Windows Store. Microsoft said that there will be no automatic update available for Windows 8.1. The user has to visit the Store and download Windows 8.1 manually. Now the question arises, why should we opt for the update? As we get into the review, we will see that Windows 8.1 can be adjudged as the ‘best possible OS’ of Microsoft till date but not the perfect one we expected. It is filled with logical improvements, updates and user-friendly features unlike Windows 8. I recommend you all to opt for this update of Windows. It is very important to read a detailed review of Windows 8.1 before opting for the update. This review will guide you and clear out all your doubts regarding the USP of Windows 8.1. If you have Windows XP or a newer version loaded, you still can upgrade it to Windows 8.1 Preview. Different procedures are available over the net. You can also download or buy Windows 8.1 over the net or update your original copy for Windows 8 to 8.1 at free of cost from the Windows Store. Microsoft launched Windows 8 almost about a year ago. From then on, tech-pundits and consumers have been criticizing about the company’s exertion to link the operating system of PC and tablet. So if you are not a Windows 8 fan, don’t even think about upgrading your Windows. Windows 8.1 is the ‘more accessible’ form of Windows 8. There is a boot-to-the-desktop feature which gives users more access to the features of the OS. The Applications Window has been reconstructed. Now the apps window looks more ordered and attractive. You can tweak the Start Page in Windows 8.1 if you do not like the default one. Windows 8.1 is made to run on the state-of-the-art hardware’s. It can incorporate touch-screen and latest Intel microprocessors. Windows 8.1 will bring in new and unique devices in both consumer and market point of view. It will aid different businesses with its easy user-friendly interface and will be a perfect amalgamation of productivity and mobility. Windows 8.1 will help us to yield several new form of devices- tablets, phablets, All-in-Ones, laptops and specialized industrial devices. It will give you the largest selection of designs at each price mark. In short, this is Windows 8.1 is all about! But the Windows fans are not satisfied. Why? Because recently some sources leaked that Microsoft has already started working on the next Windows version which is said to release by spring 2015. It has been rumored that this new Windows OS will be perfect mix of Windows RT and Windows phone running on the ARM-processor platform. Till then, enjoy your Windows 8.1! This article litterally told me nothing. Hi Clint, thank you for visitng Techwalls. This article was written just to give you all the news that Windows 8.1 update is available in the store. This is not a review article. This article contains just the basic things you need to know about Windows 8.1. Review article will only come after a week of its launch and after seeing the response of the general users all over the world. Soon we will post a detailed review of Windows 8.1 here in Techwalls. Till then, keep visiting! Downloaded it, what I don’t like is it backs me up to the cloud, have no idea where my stuff goes, wish I had disabled that part. Rather back up on Hard drive physical one at home, cheaper too.